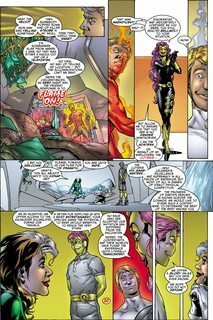 Contest of Champions II #1 – 5 (1999) : Continuing the legacy of Marvel’s first ever crossover Marvel Super Hero Contest of Champions. Once more, heroes are forced to fight one another. The greatest heroes of the Marvel Universe go to war, with each other, in this all-new super slugfest! From deep space comes the Coiterie, a group of intergalactic samaritans who come to Earth seeking its most powerful champion, through all-out combat! But what could possibly make our heroes compete against one another? How about this: the victor receives a miraculous wish of their choice! In other words, the winner could once and for all save mankind! But as Wolverine, Spider-Man, the Thing, Rogue, Thor, Hulk and a legion of heroes are culled from the Avengers, Fantastic Four and the X-Men, the participants begin to wonder: could their alien hosts really have a more sinister agenda?! They better figure it out soon,before they take each other out!